In 1521, Tequila was known for various names such as ‘mezcal brandy, agave wine and mezcal tequila’. It was believed to be ‘named after Tequila, a small town in a valley in Jalisco state, México’ where the most famous beverage is made. The meaning behind the name Tequila is Nahuatl term, ‘the place of harvesting plants’. It was originally believed to be consumed by rancheros, bandidos and used as a ritualistic drink by religious authorities from boiling and fermenting agave plants. 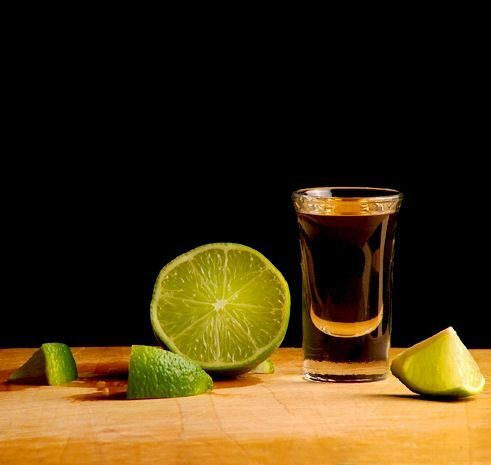 Today tequila is consumed on it’s own as a shot with lime and salt or used as a mixer in cocktails, margaritas and punch. At Fiesta our tequila based cocktails are Tequila Sunrise, Envy and Juan Collins. Tequila is most famous for its distinct woody aroma or peppery flavour although just like any other liquor it comes in a variety of different flavours and ages. At Fiesta we serve Puerto Vallarta (House Tequila), Jose Cuervo Especial Gold, Sauza Gold, EL Jimador Reposado, Don Julio Blanco, El Capricho Anejo Blue, Antigua 1800 Anejo Premium and Patron Silver. If reading this made you thirsty, come and join us at Fiesta Mexican Restaurant for a shot of tequila today!